Pattern cutting underpins the whole of the clothing industry. Its as simple as no pattern, no production. I have no 'cool' pictures here to show you, just the promise that pattern cutting and grading are skills worth developing and will give you the edge. 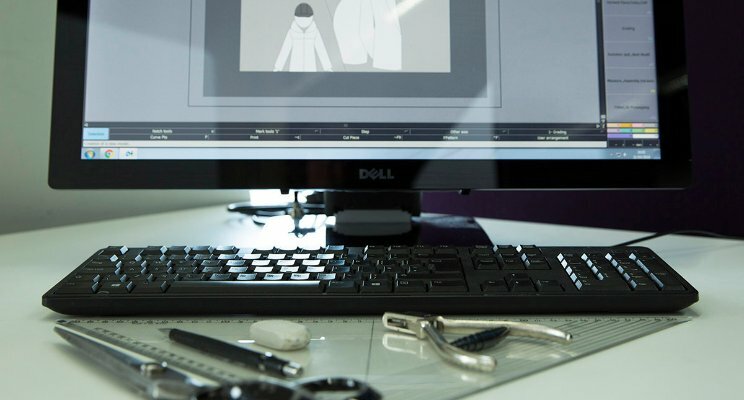 ​There is a case for saying that every pattern should be ready for manufacture. A first sample still needs a decent pattern to produce a decent garment. But there are other considerations that the first, creative pattern does not need to think about. The sample pattern is experimental, the first draft, maybe even the first few edits until all concerned are satisfied. But then comes the manufacturing stage and many other personnel become involved. Some call them the technical team, I call them the skilled crafts men and women who will turn a single size sample into a full scale production run. The pattern then, needs to satisfy all their needs. When I first became aware just how my pattern would be used, the making of hundreds or perhaps a thousand garments, I had an anxiety attack. If there were any errors or omissions it came back to my bench. Well that was a few years ago, and as a mentor said one day "It is only a frock" Yes but a lot of other peoples livelihoods too. The factory had to be efficient, pay wages and return a profit, and fixing mistakes was costly. Perhaps that is why I worry at the distance between pattern maker and factory these days. Lets hope they become reunited. In the meantime, if you are a pattern cutter increase your skills to understand the needs of the Production Pattern and while you are at it learn to grade. These skills are not to be underestimated. ​There have been many views and reviews about how long it takes to master a skill, to become really proficient at something. 10,000 hours? Six to ten years? I honestly don’t know. Mozart seemed to be born a master. Many truly gifted people just seem to be able to do their thing, instinctively, compulsively. But they are actually very few, and when you start to listen to the stories that surround them, it seems that their life was absolutely dedicated to their craft. I learned that Jimmy Hendrix spent his days, whole days, with his guitar around his neck, constantly strumming and playing. It is no accident that he became such an accomplished guitarist. How long do athletes and sportsmen spend in training? We call it training, but they are just living their thing. Watch a child learning to walk. Over and over again they stumble but just get up and try again. And one day can walk. We need guidance, call it instruction, training. I heard some else say that you need to know a subject to know what to discard. But above all we need our own trying, failing, successes and the reward of extending our abilities. It begins with the first step, just try, keep trying, and something will happen, you will become more adept, more skilled and the enjoyment of a job well done is beyond description. Whatever you apply yourself to is worthwhile, it is truly yours. Thanks for all of your clicks and comments, it seems that I am not the only one to love a dart. This simple wedge that creates shape deserves some simple attention to work efficiently. Both sides must be the same length (of course I hear you exclaim) unless there is a good reason otherwise. I had a tailoring tutor, Mr Tony Holland, way back, who used to make his hip dart straight on one side and curved on the other! (Any comments from you Tailors out there?) Then there is the dart point or apex. The position of the sew point might not be the same position as the pivot point, as it is often moved back a couple of cm. To transfer a dart, the correct pivot point has to be used. I came across this error quite a lot when sending comments to a supplier. The request to re-position a dart often had quite unforeseen, and detrimental consequences. On close examination it was simply that the dart had not been extended to the pivot point before transferring to the new position. And if only the drill hole was marked on the pattern the outcome was even more strange. Pivot point, get to know the pivot point. Darts get a poor press. It saddens me when I hear someone say 'I don't like darts, can we get rid of them?' Of course you can remove a dart, and modern stretch fabrics will stretch around the body where the unyielding wovens wouldn't. But I like darts, they are the shape makers and are what create the beautiful flow that skims the body rather than dragging across it. Even on my jersey block I have a dart. Sometimes I ignore it but more often I find its just what's need to enhance an otherwise flat and unflattering sample. You may not see the dart, its probably been incorporated into a seam or style detail, but the suppression is there, quietly doing its job. Knowing how to remove a wedge of fabric and transfer it into the construction of the garment is an endless fascination to me. Its the basis of 'fitting' a garment. Just a pinch here, just a nip there. Knowing how to use a dart effectively must surely be the basis of pattern cutting. 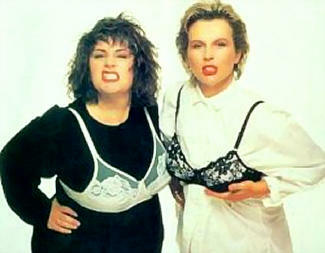 Apologies to the marvelous French and Saunders, and thank you both for the great image. The most obvious pivot point is the bust point. So where is it? A daft question perhaps, but everyone will have a different opinion and every woman will know that it depends on your age, current bra, or not, and many other factors that I wont go into here. Every brand will have its optimum bust point position, relative to its core customer and hopefully marked on the master block. But even then, styling will have its impact: a boned bodice will fit differently to bias cut slip dress. To accurately locate the bust point position, I ask my client, be she private or a model for a High Street Brand, to wear a well fitting bra and measure the distance from the SNP (side neck point) to the bust point. Then use half the distance between the bust points, measuring from the CF. Where the two intersect is a useful position for the bust pivot point. A sober warning, but when making for mass production some basic 'land marks' of the body are needed. The bust point is one, the elbow, back shoulder prominence and waist to hip darts are others. How you use them is quite another matter. We all know that notches are important. I think of notches, grain line and seam allowances as an international language embedded into the pattern. Without anything written in text the pattern can still be 'read' by these symbols. I have a set of conventions that seem to have served me well over the years but I would like to know how others use notches. Can there be too many notches? What are your most useful tips to help the machinist. How do you use them? These are my guidelines. 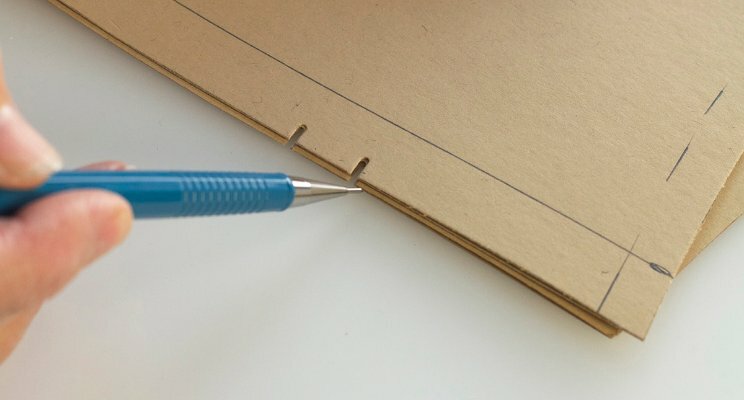 There are two types of notches - Seam value and Balance marks. Seam value notches are only put in one direction at a corner, on the seam that will be sewn first. Two nips, one in each direction of the corner will weaken the fabric. The exception is at the hem when the hem value is 4cm or more. Balance marks are there to show how the garment goes together and must be completely unambiguous. So only put a notch in the center of a seam line if it really is the center, such as CB or CF. In this way a panel cannot be put in up-side-down. Convention puts single notches toward the front and double at the back. Think of the sleevehead. So what happens when there are lots of panels? I use singles in varying spacing toward the front and a triple if I really need to at the back. Double notches must be at least 12mm (1/2") apart, again so that the fabric is not weakened. But spacing them at say 2cm or 3cm gives a variation to the double notch. Long seams need a few singles along the way to help the machinist avoid stretching and easing. Well, as much as I love card Dolly she had to go digital. But it was the best thing that ever happened. Copying is just a click, the original - not the card, she is safely stored - never gets damaged, rough edges or a lost piece. She is in my Blocks folder ready for the next adventure. Would I like to go back to pattern cutting in card on a table? I never left. Its not one or the other, but the best of both. And now I have a digital mannequin - life just gets better. More about that later. Meet Dolly at the Ravensbourne short courses especially for using Lectra Modaris. This is Dolly, my basic block. She has evolved over many years to reflect and record the key measurements and suppression needed to cut flat patterns. Of course working on the stand is an option, but I don't always have one to hand, and even if there is one it may vary from my needs. But Dolly I know very well. She is not 'off the peg' but has been created by me, amended by me over the years and tried and tested on thousands of patterns. I could replace my shears, but not Dolly. Maggie Stott has worked in the patten cutting industry for over 40 years. She is a specialist in both traditional and digital pattern cutting.